"Outside the EU, the UK will have the advantage of greater agility in decision making, entering into regulatory recognition arrangements with third countries and implementing appropriate regulations. " 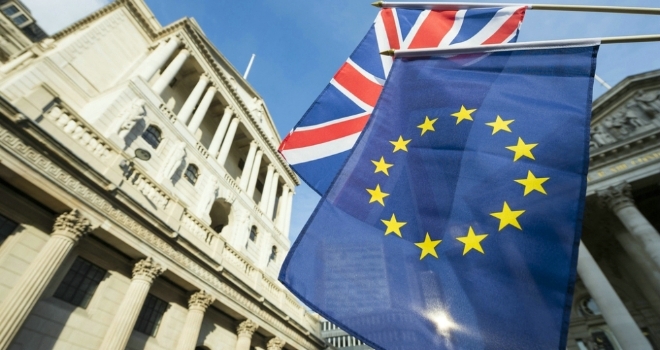 The Institute of Economic Affairs has released new a report claiming that the UK 'can and should' improve its financial services regulation post-Brexit and is urging it to "pursue WTO disciplines with renewed urgency". The report says the UK can take steps to not only improve its financial service industry, but also improve global financial services and the availability of capital, hedging mechanisms and insurance internationally. The IEA says the WTO understanding on financial services should be developed with the goal of liberalisation of market access, and that its Most Favoured Nation principle of non-discrimination "should be at the core of any agreement on international financial services". The IEA added that the UK must "capitalise on its natural advantages of size, skill, creativity, language, law, time zone and new-found flexibility and responsiveness" to retain its dominant market position. As part of its proposals, the IEA wants to see the UK reshape its regulatory regime by 'removing unnecessary processes' and introducing regulation to encourage innovation. It believes the UK should form alliances with with other major financial markets, such as Switzerland, Hong Kong and Singapore, as well as UK-linked international financial centres. But it also says regulatory coherence should be established between the UK and the EU27, including allowing EU27 headquartered banks with UK branches to continue post-Brexit. This, the IEA says, provides certainty for EU banks trading in the UK, ensures market stability and would be a show of good faith that the UK will not restrict EU27 access to financial services. Shanker Singham, director of the International Trade and Competition Unit at the Institute of Economic Affairs, said: “Now is the time for the UK to promote more competitive regulation in global standard setting organisations and to challenge global rules with anticompetitive effects.